US special peace envoy for Afghanistan Zalmay Khalilzad has said that no timeline has been set for US troop withdrawal from Afghanistan. “The path to peace doesn’t often run in a straight line. The situation in Afghanistan is complex and like all sensitive talks, not everything is conducted in public,” Khalilzad tweeted. US Department of State in a statement has also declared that no agreement has been made in connection with troop withdrawal timetable for Afghanistan, stressing that any decision in this regard would be adopted in consideration to situation in Afghanistan. After reports regarding possible US troop withdrawal from Afghanistan were released, US department of state and the country’s special peace envoy for Afghanistan clearly declared that no timeline has been set for US troop withdrawal from Afghanistan so far. US President Donald Trump in the country’s congress has declared that US has accelerated peace talks with the Taliban group to find a political settlement for disputes in Afghanistan. Previously, Trump had said that in case of possible peace agreement with the Taliban group, he would pull out troops from Afghanistan, but he insisted on keeping intelligence section in the country. 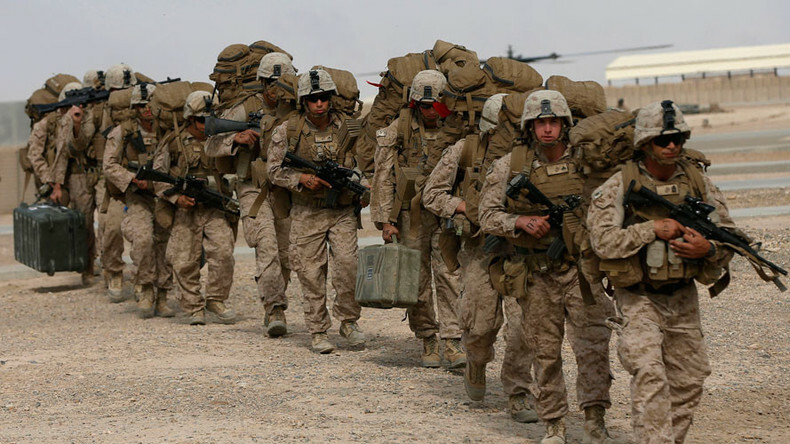 The number of US troops is now nearly 14,000 in Afghanistan. Report of timetable for possible US troop withdrawal from Afghanistan was released after US special peace envoy for Afghanistan Zalmay Khalilzad held the fourth round of peace talks with the Taliban group in Doha. Taliban claimed that discussion in connection with a troop withdrawal timetable has been made in their meeting with Khalilzad, who rejected the claim later. Currently, US-led coalition forces are engaged in training and equipping as well as providing air support to Afghan National Defense and Security Forces (ANDSF) in Afghanistan, which is strategically important for both US and Afghanistan. Insecurities in Afghanistan have increased in recent years as most areas in the country are being threatened by the Taliban group. In consideration to current situation and fragile security condition, presence of US troops can play key role in strengthening of the ANDSF’s morale and weakening that of enemies. Moreover, US and its allies provide nearly $5 billion annually to ANDSF. It seems that need for paying attention to resources funding terrorism and suppressing them in battlefield has remained unchanged. Afghanistan government and US administration should know if Taliban and other terrorist groups are not suppressed in battlefield, pressures not exerted on supporters of terrorist groups and financial resources and hubs not targeted, reaching to peace and stability in Afghanistan is not easy. By adopting multiple measures, both US and Afghanistan should make the Taliban group understand that they have no ways except referring to peace talks.